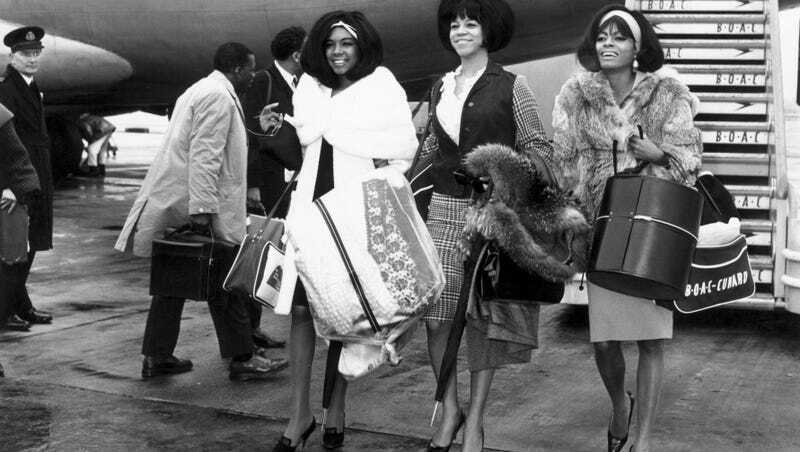 Here’s a publicity shot of the Supremes in 1965, when it was still Mary Wilson, Florence Ballard, and Diana Ross. The trio is arriving at Heathrow in London, in March, and they look incredible. Many of us mere mortals can’t step off so much as a one-hour commuter flight looking half as great. But it’s important to have aspirations, right?